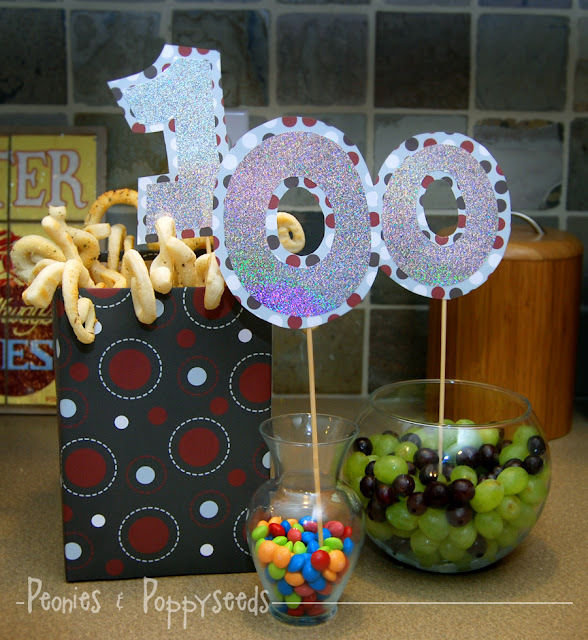 We took this snack to school on the 100the day of school, but it would be great anytime you want to highlight the number 100 in a yummy and fun way. 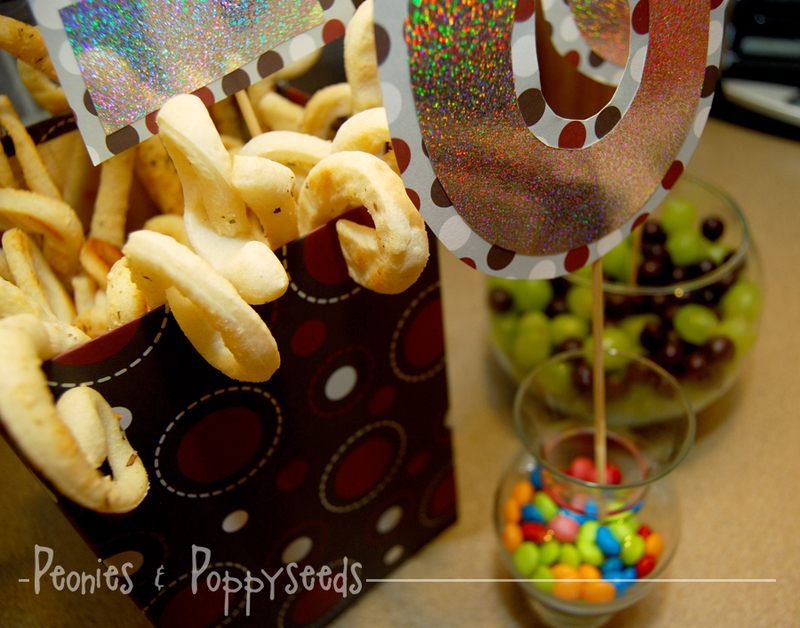 Our snacks were: 100 Skittles, 100 green grapes, 100 purple grapes and 100 curly herb breadsticks (recipe found here). I had the glass containers just hanging around, but I had to make the big box -it's one of those massive goldfish cracker boxes with the top cut off. I just covered the outside in scrapbook paper. It was amazingly easy and the kids thought it was fab. Then I cut out the number 100 on some matching scrapbook paper and taped it to some bamboo skewers to put in the containers of snacks. 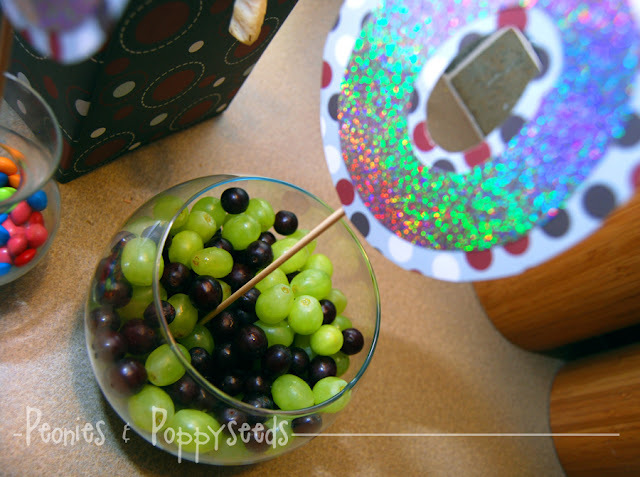 I love when snacks are easy and fun and can be passed off as a lesson about numbers.